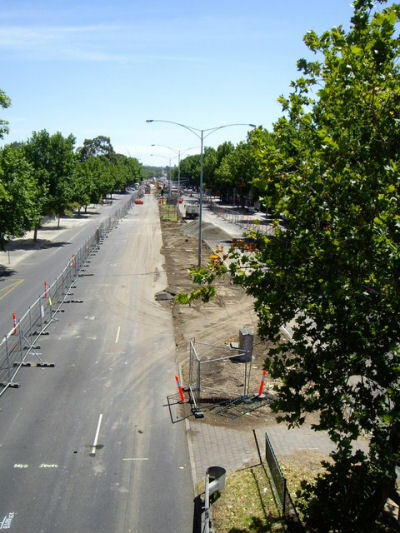 "I checked out the Hoddle Street capacity road works today. 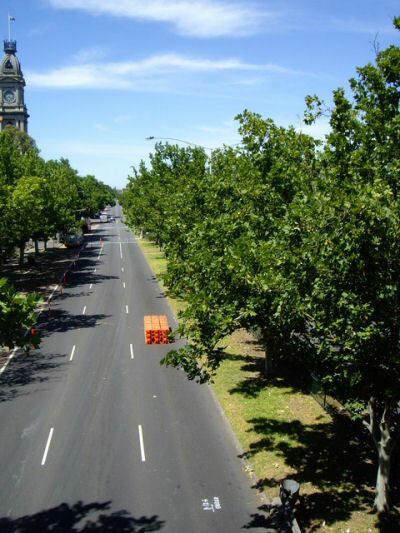 See photos taken from the Vere Steet footbridge (near Collingwood Town Hall) to the south which shows trees retained and to the north which shows where trees have been removed from the median. Also one of the signs which declares this is a project to connect communities. We must try to contain the mirth on that one - if they pull it off it will be the first traffic sewer to have brought communities together." 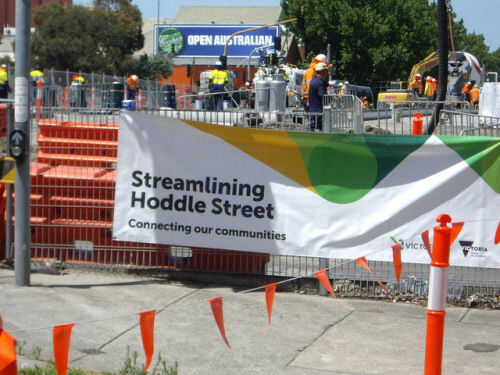 The sign Ian refers to reads, "Streamlining Hoddle Street-Connecting our communities." How completely facile! It must have been coined on a morning tea break without realisation that "streamlining " in this case means de-tree lining! All this destruction is to help accommodate the additional 100,000 cars each year in Melbourne. 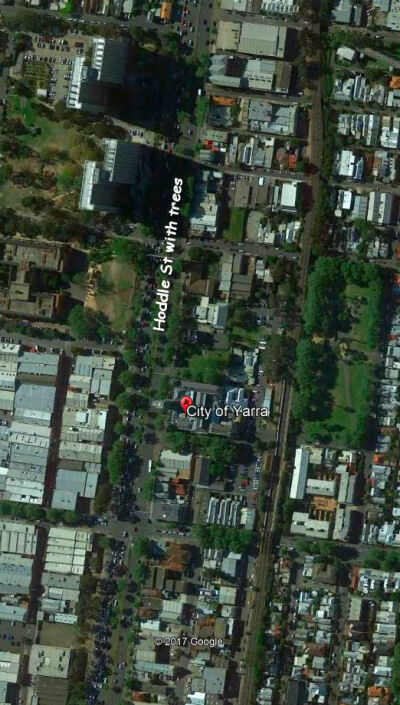 The only way to widen a long established street like Hoddle Street is to either knock down houses and appropriate land or remove anything not absolutely necessary, that won't cost the government money, and for which the voices of complaint, from the avian inhabitants and the long-suffering public will not be heard. I did not hear any public announcement of the removal of these trees. They are just gone. What difference will the additional traffic and the absence of the trees make in the immediate area to the noise levels and the temperature? So much of the local environment in Melbourne is being ripped apart to make way for population growth that if residents can't mitigate any of the damage it will just lead to feelings of hopelessness and despair. This plays into the hands of the growth manic state government and the various lobby groups feeding from growth. Jill Quirk is the Secretary for Protectors of Public Lands, Victoria and was the long-time president of the SPAVICTas Branch of Sustainable Population Australia.